The RCMP laid charges against 39 people on Tuesday for their part in a marriage scam involving Canadian women marrying North African men and sponsoring them for Canadian permanent residency, in exchange for money. 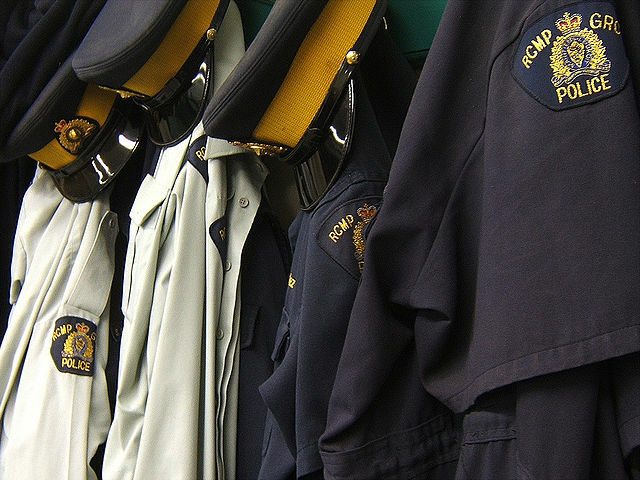 The RCMP investigation has so far uncovered 315 marriages, involving over 600 people, that it believes to be fraudulent, and it’s possible more people will be charged in the future. The group arrested on Tuesday are having a total of 78 charges laid against them, including for misrepresentation and procuring feigned marriage. The alleged organizer of the scam is unlicensed immigration consultant Amado Niang, who was indicted on 42 counts. He allegedly found Canadian women, many of Haitian descent, and offered them an arrangement whereby they would get paid to marry men from North African countries who were in Canada and had visas that were close to expiry. Mr. Niang appeared in court in Montreal on Tuesday and has another hearing scheduled for October 23rd. 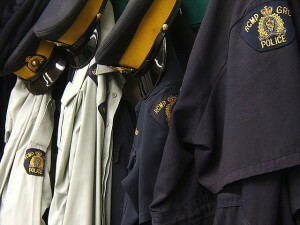 Project Conjugal, the RCMP investigation that led to the charges, began in 2009 with the purpose of investigating suspicious marriages that took place between 2007 and 2009, and lead to the dismantling of the alleged criminal organization behind the scam in February. The purpose of the investigation is now to lay charges against those allegedly involved. In an effort to reduce marriage sponsorship fraud, the Canadian government this year changed spousal sponsorship rules to bar a sponsored spouse from sponsoring a new spouse for at least five years after they are granted permanent residence. The Department of Citizenship and Immigration has also proposed that Canada adopt the US-style sponsonship process of granting sponsored spouses a two year ‘conditional resident status’, after which they can apply for permanent residency if they have met all of the conditions required of them, instead of the current process of granting permanent residency to sponsored spouses immediately upon their arrival in Canada. My grandmother and her family are/were Canadian Citizens. My partner is 1/2 Canadian First Nations of Kwaikutl descent with a mother who is Canadian. My partner is the only one of 5 siblings born in the US. The rest were born in Canada, but all live outside Canada now. We are planning to move to Campbell River and obtain dual Canadian citizenship. Since my partner is 1st generation born of a Canadian citizen (she is deceased), can he obtain citizenship and then sponsor me? Also what is the definition of common law spouse? I was born in 1954 and my partner was born in 1955, both US Citizens considering dual citizenship. What is this mysterious attraction of immigrating to Canada from other countries? The life quality of the underemployed, unemployed Canadians born and immigrant is really an embarrassment. There are too many college and university educated working in fast food, cleaning, retail, private security, taxi driving. They are working and living below their skills, such a waste. The unlimited immigration in Canada is only going to make the recession, economy, social conditions worse as immigrants join Canadians on social assistance. It is a Ponzie Scheme. The schools, companies, agencies, governments, and their suppliers only want citizens and immigrants as a source of money milking and cheap slave labour. Immigrants and citizens don’t contribute to Canada’s industry; they are the industry. The people’s comments on http://www.ratemyemployer.ca, http://www.topix.com (Victoria BC Canada), http://www.yelp.com, http://www.thedirty.com, Yahoo Answers, others.